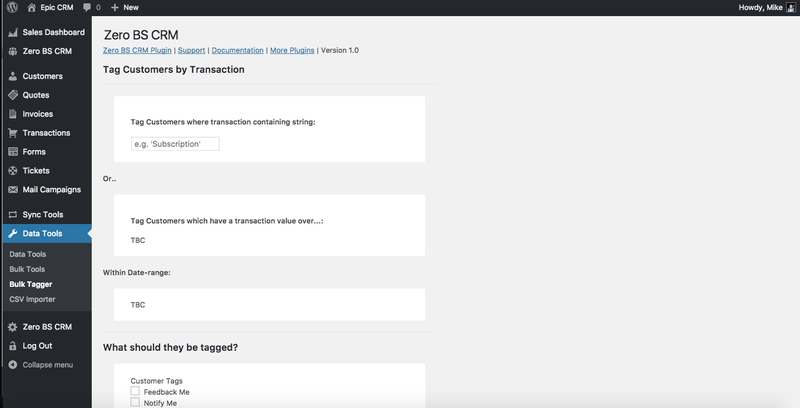 New Feature Bulk tag contacts based on transaction names. Knowing what someone has bought from you really helps in knowing what to sell them next or how best to contact them. Use this type of customer intel to craft offers to your customers or leads. It’s easier to sell to existing customers and using Bulk Tagger you can now quickly whizz through your transactions and tag your customers based on what they’ve purchased. I wanted to know who had bought what from my store without manually going through all the transactions and tagging my customers (which is very time consuming). With bulk tagger I was able to tag anyone who had bought my product and helped me to tailor my comms better. 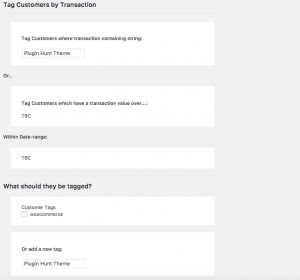 This extension makes your life easier by tagging your customers based on what their transaction keywords are. Use it to run your very own product coverage analysis. Bulk Tagger is included in the Entrepreneur's Bundle - join the other happy entrepreneur's, save $$$ per year and get instant access to every extension!